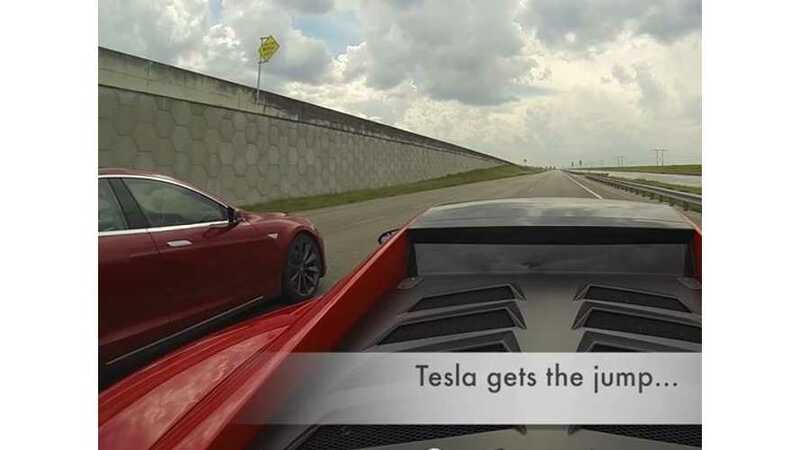 In this DragTimes video, a Tesla Model S P85 challenges the supercar with the most ridiculously long name: Lamborghini Gallardo LP570-4 Super Trofeo Stradale. Clearly, the 1,300-pound heavier Model S P85 is way out of its league here, but it's amazing to see how easily the Model S crushes the Lamborghini off the line in the first run. With instant max torque on tap, in everyday driving, where it's more a stop light to stop light grind, the Model S can hold it own against almost any vehicle on the road.